Find an emergency dentist in Eugene is easy with Emergency Dentists USA. We offer a 24 hour phone service that helps you find the 24 hour emergency dentist that you need, as quickly as possible. Call 24 hours a day 7 days a week and get connected with a walk in dentist near you. We help place patients with dentists in the Eugene area. We can assist in finding a dentist with late night and weekend hours. Call us anytime to receive care as quickly as possible. Thanks to the Emergency Dentists USA website and hotline, I was able to find a great dentist in Eugene when I lost my crown. They even referred me to a dentist that allowed me to receive care over the weekend. I was back to normal by Monday! In Eugene, there are many emergency dental clinics available to you. We’ve compiled a list to help you find quick solutions if you’re suffering from a dental emergency. Description Call our 24 hour hotline to locate the best emergency dentist in Eugene, OR. Find Oregon 24 hour dentists today. Description: Willamette Dental Group offers weekend hours and is open Monday thru Friday. Call to schedule your appointment today. Description: Gentle Dental has an on-call dentist at night and on the weekends to answer the phone for your 24 hour dentist needs. The dentist may schedule an emergency appointment during office hours or they may suggest you seek urgent care quickly. Description: Smile Keepers offers convenient hours with an emergency dentist on-call for extended hours. They specialize in family and cosmetic dentistry. Description: Early and late dental appointments available upon request. Call or go online to book your appointment with Northwest Eugene Family Dental. Emergency dental clinics in Eugene, Oregon are comparable to standard dental clinics. 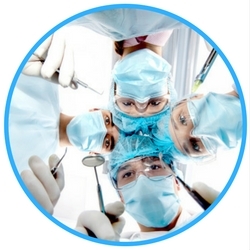 They provide services that include x-rays, routine fillings, and cleanings. Before visiting an emergency dentist, it’s a good idea to gather any recent medical and dental records you may have. These records will help your dentist to determine the best treatment for your dental emergency. Also, try to arrive at the appointment at least 15 minutes early to fill out any paperwork. When you arrange an appointment, check to make sure the dentist office accepts your method of payment. If you need to set up a payment plan, speak with one of the staff members. It’s also best to make sure they accept your dental insurance prior to the appointment if possible. If you are nervous or have any fears about visiting the dentist, be sure to let the emergency dental clinic’s staff know. They will be able to arrange to make you comfortable during your visit. Dental emergencies are common conditions and there are plenty of dental clinics in Eugene, OR that are equipped to handle most emergencies. Common dental issues include chipped teeth, lost crowns, abscessed teeth, and more. Below we discuss some of the most common dental emergencies and some simple treatments to help you alleviate the pain while you wait for your emergency dental appointment. 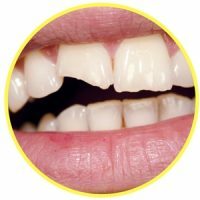 Knocked out teeth can be a painful and embarrassing dental emergency. If you can find the knocked out tooth, rinse it carefully with plain water. Hold the tooth only by the crown and avoid touching the roots of the tooth. Rinse your mouth with water and place the tooth into the gum while applying gentle pressure. Use a container of milk or Save-a-Tooth to keep the tooth moist while you wait for your emergency dental appointment. Your dentist might be able to fix the tooth if you have it stored. In some cases, you may need an emergency tooth extraction. If a tooth is impacted, a dentist will recommend that it be extracted. Other situations that may require a tooth extractions include severe tooth decay or gum disease. Having a tooth extracted immediately rather than waiting for a dental emergency to become more painful, leads to a decreased need for medication like antibiotics and painkillers. Waiting to have a tooth extracted may cause complications that are both expensive and painful. If you need to have a tooth extracted, the healing process generally takes two weeks. Pain will be controlled with painkillers if necessary and you are encouraged to rinse your mouth with warm salt water to help with the healing. If you experience a dental emergency in Eugene, it’s important to know the difference between visiting an emergency room versus an emergency dentist. When visiting a hospital emergency room for a dental emergency, the ER doctor will be able to administer the needed medications but will not be equipped to handle the dental problem. For this reason, it’s best to see an emergency dentist. However, if you have experienced any type of head trauma or any other body injuries, you should go directly to the ER rather than the dentist. In Eugene, Oregon, emergency dentists offer a variety of service options. Most dental offices offer after-hours and weekend care. 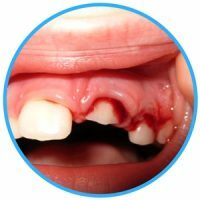 By visiting the American Dental Association at https://www.ada.org/en you can confirm that the emergency dentist you choose is licensed and certified in your area. It is also a great resource for all things dental care. Remember, Emergency Dentists USA is available 24 hours a day, 7 days a week to help find an emergency dentist near you.